Over the past year, Web traffic has grown by 300% (Jupiter Media Metrix). 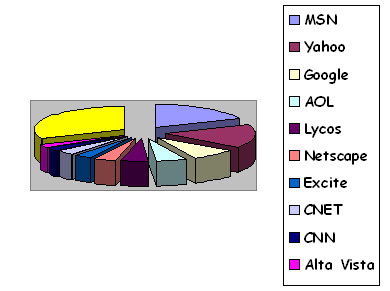 2002 to 210.8 million users (71% of U.S. population) in 2006. 85% of Web users use search engines to find solutions and vendors. Only the Top 30 search results will ever generate any significant traffic. The first 10 search results receive 70% - 83% of user click-through. dollars a year. This is the next generation folks. often set the latest trends.